Best laid plans and all this post was due a few weeks ago. Alas, here it is…finally. Following a 24-hour flight home from Australia, a hurricane, an election, and now a Nor’ Easter I’ve arrived to the United States of America bearing Ginger Tofu and Veggies en Pappilote. Phew, I hope you enjoy. Before I left for the US I threw a little dinner party and decided to try out the “en papillote” style which is basically a classic French technique of cooking food inside of parchment paper and then baking it. As it cooks the steam builds and puffs up the paper. This method allows for a nice presentation as guests can cut into the paper and enjoy the aroma of the freshly cooked food. Simple, yet fun. This recipe comes (with slight adaptation) from the marvelous book, “Eat Taste Heal” by Chef Johnny Brannigan and co. 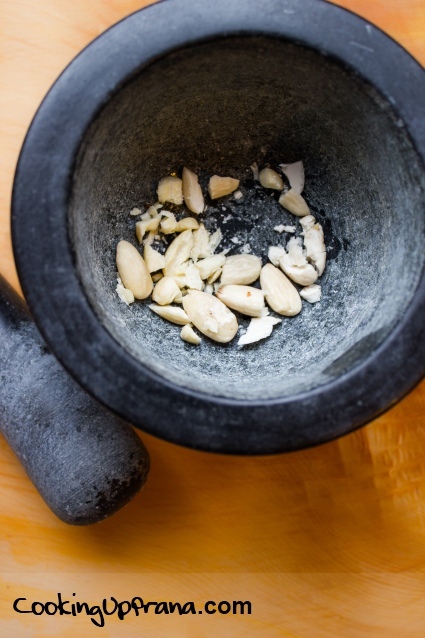 The brilliant marinade uses ginger and coconut milk with a splash of Bragg’s amino acids and the smart addition of finely ground blanched almonds. You will first blanch your veggies of choice (the veggies I’ve chosen are balancing for all Ayurvedic body types). Then mix the veggies with the ginger tofu. 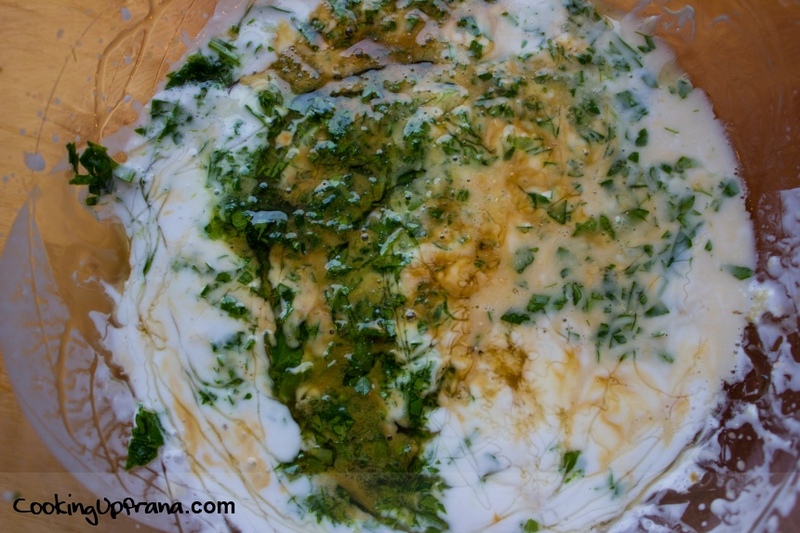 Add a drizzle of ghee (clarified butter) which is balancing for all doshas except Kapha in moderation. Once the filling is composed on the parchment paper you’ll wrap everything up en papillote, and bake it in the oven (400°F) for 12-15 minutes. 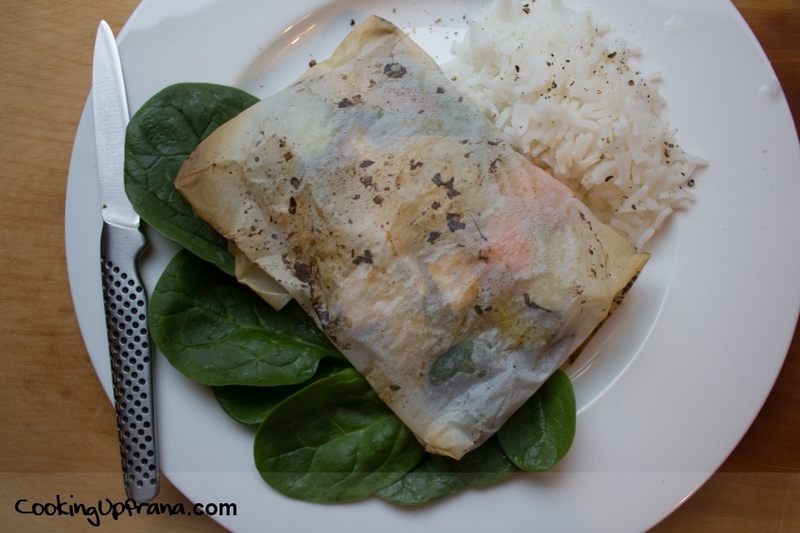 Remember, there’s no reason to be intimidated by cooking en papillote – this method is healthy, simple, and quick. Serve with a side of lightly seasoned basmati rice and some fresh greens. This dish is gluten free and can be made dairy free by substituting sunflower or olive oil for the ghee. 1. 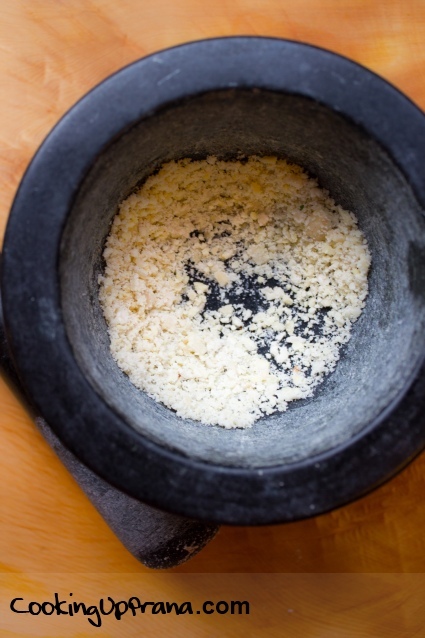 Start by creating the ginger marinade: In a small mixing bowl, whisk together the coconut milk, Bragg's amino acids, fennel, parsley, ginger, almonds, lime juice, brown rice syrup, and black pepper. 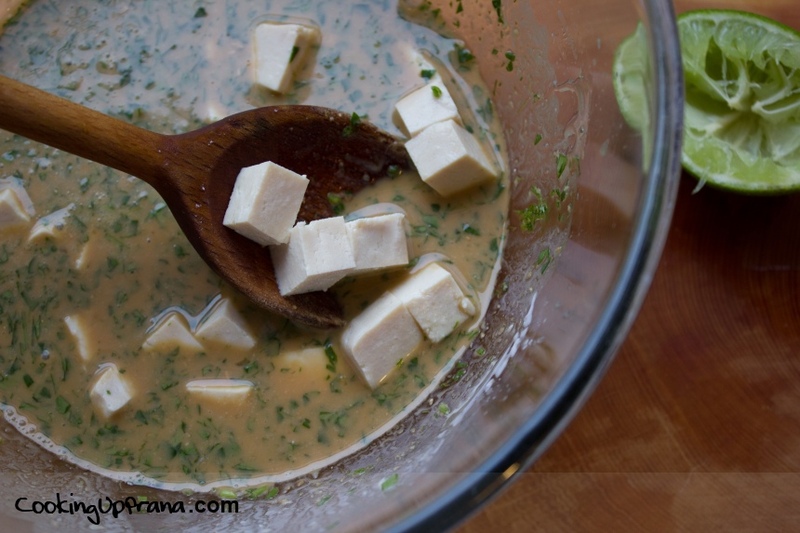 Then, add the tofu and gently stir to cover and coat evenly. Place in refrigerator for 1-2 hours. 3. For the veggie filling: Add all of the vegetables to a boiling pot of water, cover, and cook for 4 minutes. Drain well. 4. 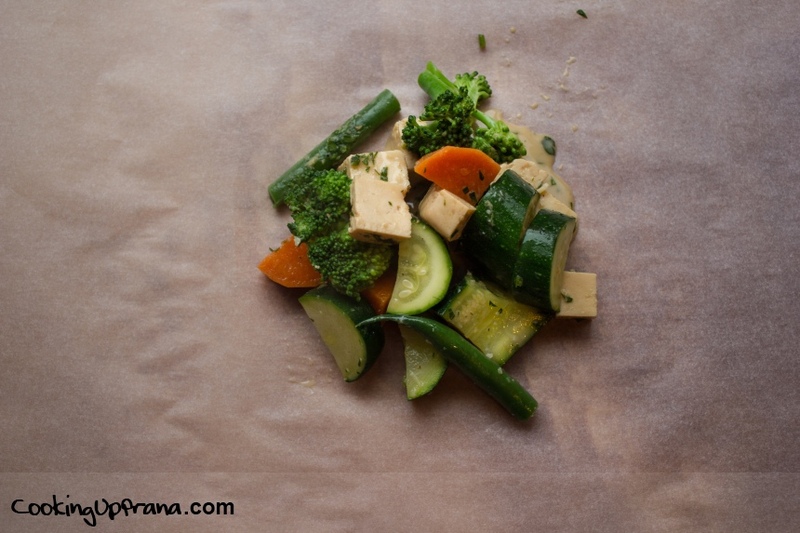 In a large bowl add the vegetables and the tofu with ginger marinade and gently toss to cover the veggies with the marinade. 5. 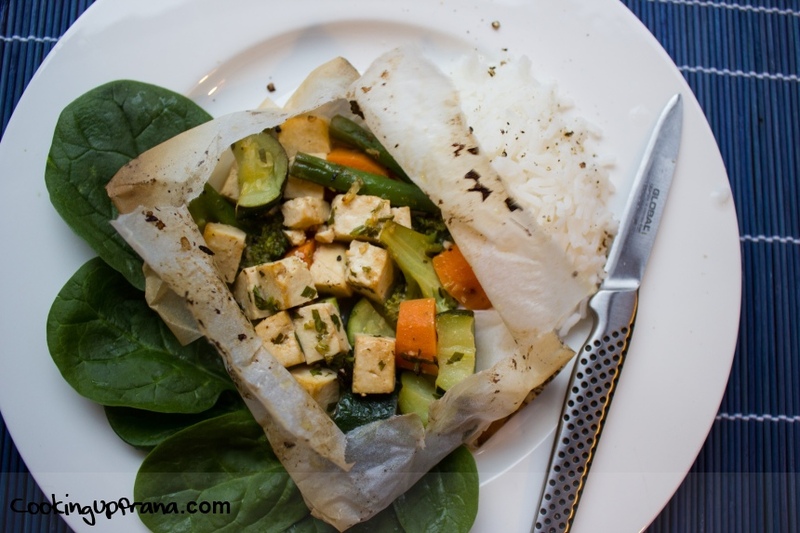 Scoop some of the ginger tofu and veggies into the center of each parchment paper and drizzle with ghee. 6. Fold the parchment paper over the filling to enclose it. Then seal the edges of the paper by making small crimping folds along the edges of the parchment paper. 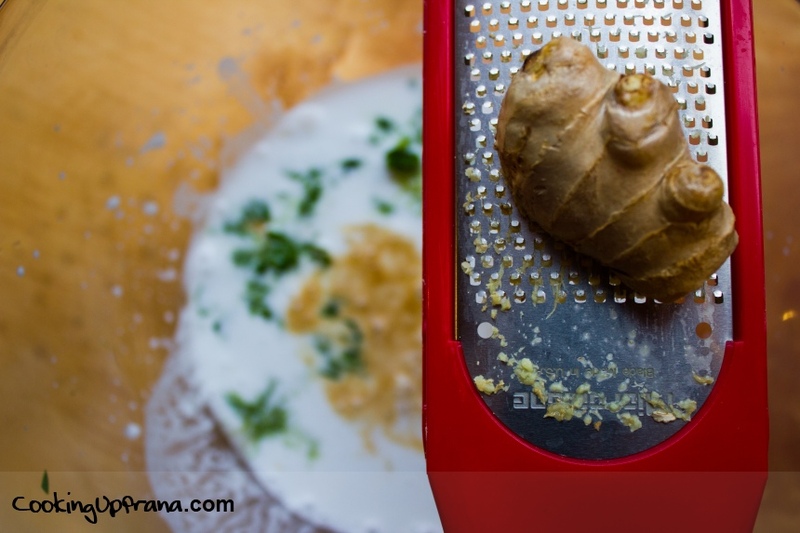 Ensure that it is sealed completely so steam does not escape while the food cooks. (Never open the parchment packet to check on the food). Place the parcels onto a lightly oiled baking sheet and bake until parcels puff up ~ 15 minutes. 7. Remove from baking sheet and transfer parcels onto individual plates. Serve immediately and allow parcels to be opened at the table. Garnish with fresh lemon or greens.